A review of the banking skills of the officers & managers revealed that that most employees in my bank were uncomfortably ignorant of how banking business is conducted, where revenue comes from that pays operating expenses (including salaries and benefits), and the overall financial condition of the bank. Many of them could not understand what they were reading in the company’s annual report or link their work to the performance drivers of the executives and shareholders. In each category, we developed a baseline of competence in each category and included them into their performance evaluation criteria. 1. Technical and operational skills. When a person is hired into a bank he or she is expected to accomplish the objectives of the position. The incumbent is expected to master the details of his/her job through formal and informal development programmes. After a specified period of time, the employee is required to demonstrate mastery of the discipline that achieves the purpose of the position. From those evaluations, strategies can be developed and implemented to raise the employee’s mastery of basic skills so that he or she can better serve the objectives of the position and advance to a higher level of competence. To develop the technical and operational skills curriculum, we identified critical competencies for each position. We then determined where the employee was in that competency via a simple yardstick: Unqualified, qualified, and highly-qualified. Those who were unqualified were given access to necessary training material and additional coaching from others within the department. They were then evaluated. The process was repeated until they achieved a ‘qualified’ evaluation. Advancement to ‘highly qualified’ was subjective in nature based upon business needs and the manager and the employee were expected to plan and budget for individual development. The focus was on the technical and operational skills such as, specific banking systems and processes, a teller’s cash drawer, opening and closing procedures, etc. Self-development was encouraged and budgets were modified if necessary. Businesses that can remain solvent during economic hard times typically expect their managers and officers to think like business people first and technical specialists second. They focus their efforts on satisfying the needs of multiple stakeholders instead of just one in a functional discipline. They understand the link between their job and other disciplines within the organization. A loan processing specialist, for example, knows how to process loan applications correctly and within acceptable time limits. He also knows that if a mistake is made or an unnecessary delay is encountered, the loan customer may decide to take his application to a competing bank that delivers faster service. With much discussion and negotiation, we developed a list of basic bank business skills that each manager or officer should possess. In many cases, the teachers were senior executives with many years experience in the industry. How does my bank generate interest and non-interest revenue? Who are our prime customers and why do they bank with us? What are the strengths and weaknesses of my bank? Who are our competitors and how do we compare? What is the financial condition of our bank and how does it differ from our top three competitors? What are the primary issues that my bank and the banking industry are facing that threatens their ability to stay in and grow the business? With limited time and budgets, we determined that managerial skills development was best accomplished by individual programmes typically provided by outside vendors. There was little agreement on what constitutes effective communication or motivation skills. Certain skills such as coaching, evaluation, discipline and planning are better left to outside vendors who can teach the general philosophies and practices of each subject. It is then up to the manager and the employee to take that knowledge and apply it to the individual setting. Some managers encourage their subordinates to read articles and books on leadership subjects and discuss the main points in group meetings. Others encourage employees to publicly identify good and bad leadership behaviours when they experience them and discuss it as a part of their performance evaluation process. Unfortunately, there is not enough time or budget to train everyone properly. In the financial industry, federal and state banking laws require annual training on selected regulations. Sexual harassment and discrimination training becomes necessary – partly because it is an important subject and partly because it provides the company legal protection in the case of lawsuits. Many professions require proof of continuing education in their field in order to maintain their license or certification. These are typically achieved in an after-work setting. There is a huge difference between training people in soft skills such as sexual harassment and discrimination, and hard skills such as computer applications and loan processing procedures. 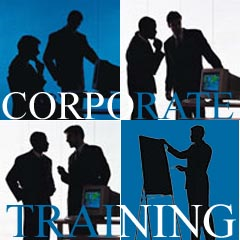 Successful training occurs when the learning is applied immediately and consistently to the work environment. Training programmes add value when the training leads to improved stakeholder satisfaction. The author is Ken Moore.